So, with this post, we have finally caught up on our wedding sneak peeks. 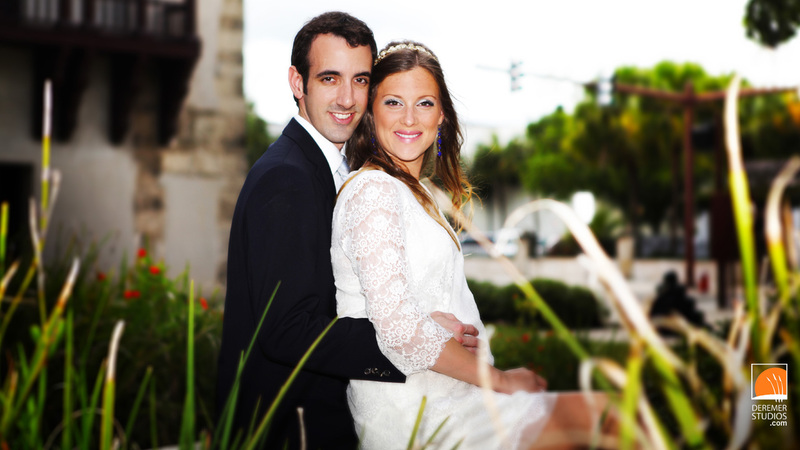 Kayla and Kevin chose Jacksonville Golf and Country Club as the perfect venue for their wedding day. Despite some threatening (though pretty) clouds, the weather held off for their wedding and made for the perfect background for this couple’s fun posed photos. 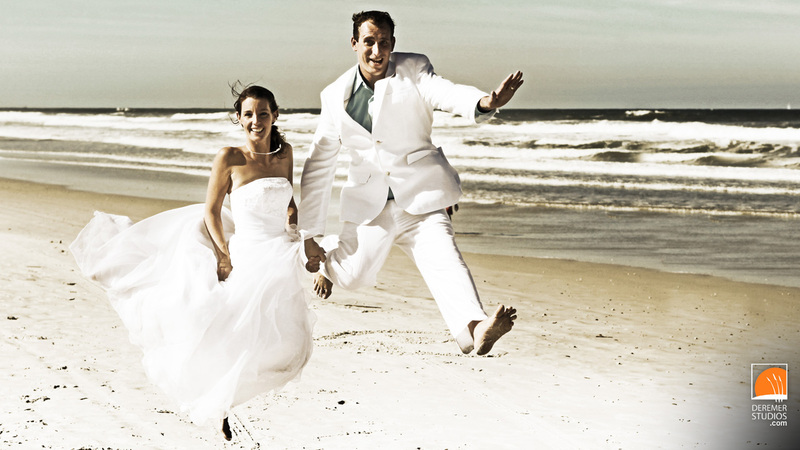 It’s always a joy when the couple is fun-loving! Check out some of their great ideas featured in the photos below! Congrats Kevin & Kayla! As always, check out all our favorite photos below! Brian & Beth’s Beautiful Beachfront Wedding! Almost there – two more weddings and we’ll be back up to date! Aren’t you excited? Probably not, but I am. 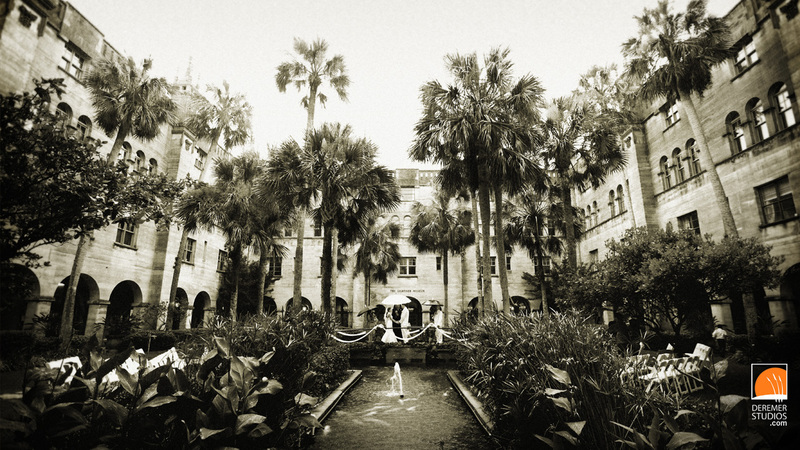 Regardless, here is our latest wedding – Brian and Beth’s gorgeous Amelia Island nuptials. Despite the hot temperatures, the ocean breeze made for an absolutely splendid day for a wedding. Check out the couple’s very cool cake – and of course, check out all our favorite photos from the wedding below! Nick & Christina’s Outrageous Embassy Wedding! You’re in luck – looks like it’s two for one wedding post day! 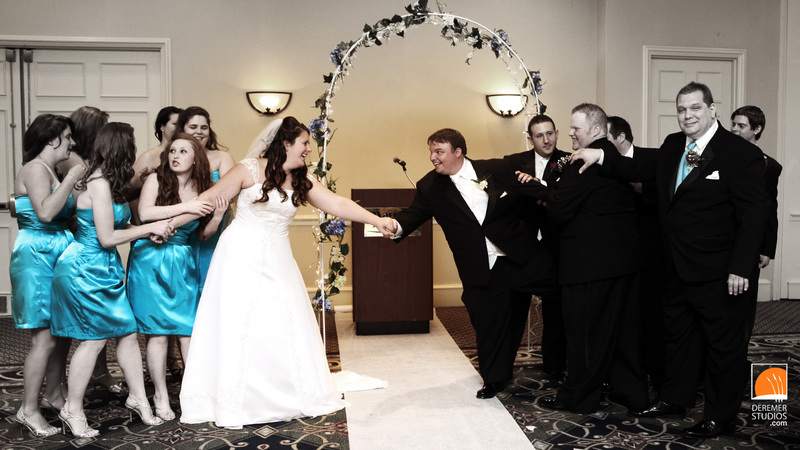 This evening’s post features sneak peeks from Nick and Christina’s Embassy Suites wedding. This couple was truly a hoot! (yeah, i know, I’m old fashioned.) 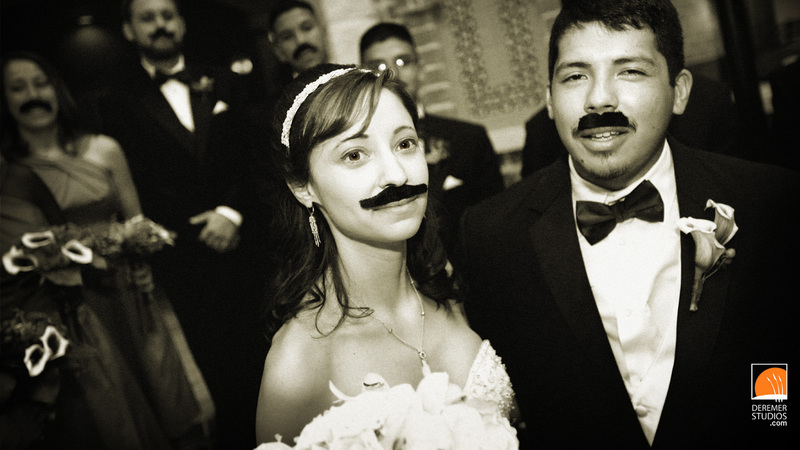 Between the karate poses with the groomsmen, to the fake ‘staches with the whole bridal party, we had a grand old time! Check out all our favorite photos from the wedding below! Tiffany & Bryan’s Fun and Fabulous Wedding! We’ve almost caught up finally! This is a wedding we shot for Tiffany and Bryan a few weeks back. As you can see from the photo above, everyone had a great time – especially our newly-weds! Apart from the couple, notable bits were the very detailed groom’s cake, made to look like Everbank Field, and the really cool custom runner the couple picked out. Check out all our favorite photos from the wedding below! Amy & Jedediah’s Vibrant Beach Wedding! One step closer to catching up… This is a great wedding Bryn had the opportunity to shoot a few weeks back. Though we never managed to put two and two together, Bryn discovered when she got to the wedding that Amy was actually one of our daughter’s teachers in an Awana program at a local church. Small world! 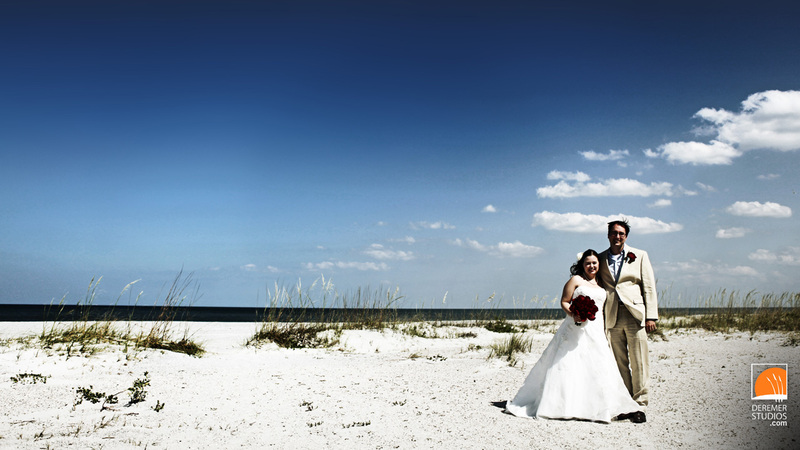 The couple has a wonderful wedding right out on the beach with some stunning skies as the backdrop. Another great highlight of their wedding was all the creative little elements they used to make the wedding especially their own – like the surf-board guestbook and hand print ring shot! Check out all our favorite photos from the wedding below!